Rarely does such a classic, elevated, multi-level home with stunning colourful gardens and an in-ground pool come on the market. Situated on a 675 m² lot in a beautiful neighbourhood, this large, Architect designed, brick multi-level home with cathedral ceilings creates a unique atmosphere of colour and robustness. Offering formal and informal dining, separate family and lounge areas and a well-equipped modern kitchen. The large open kitchen includes electric cooking, stone Granite bench tops and overlooks the outdoor alfresco area, with stunning gardens rising to an elevated lawn area. Perfect for enjoying a relaxing afternoon or entertaining family and friends. The upper level features a spacious master bedroom and a large walk-in robe and en-suite. The three remaining bedrooms include built in robes and the family bathroom is centrally located. The house has split air-conditioning systems through out and solidly built on a very wide lot with remarkable landscaping. 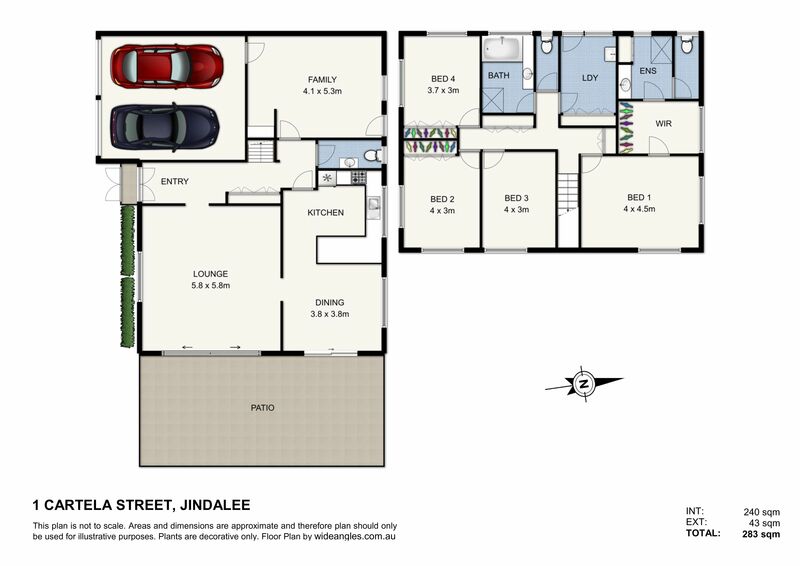 The lucky new home owners will find themselves only minutes from all Jindalee has to offer including; Jindalee boat ramp, Jindalee golf course, Jindalee Primary School, Centenary High School, parks, Jindalee Homemaker Centre, DFO, Piggy Back Café and public transport.